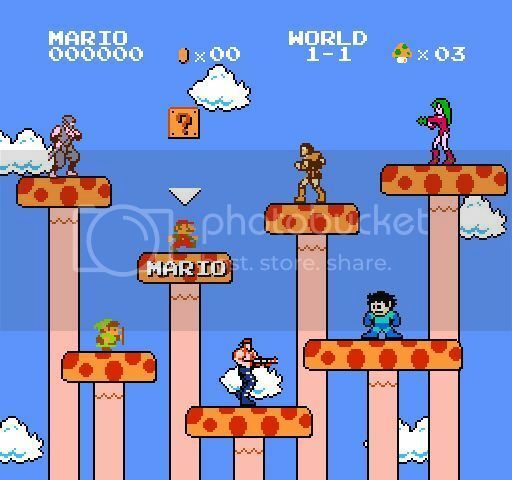 In 2010, the guys from ExplodingRabbit made this game called Super Mario crossover which I enjoyed playing very much. In 2013, they are about to release the new version of their game called Super Mario Crossover 3.0. Haven’t heard about this game at all? Read on. 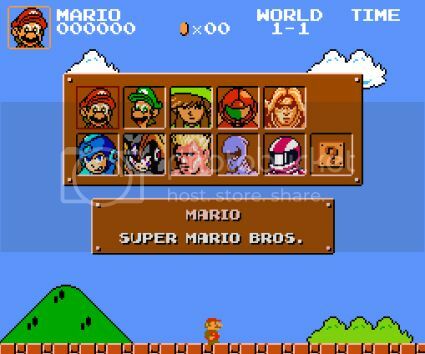 Super Mario Crossover is a web based adventure game that takes place in the Mario universe but the twist, as you can see, is that you can choose to play it using the different characters from the different NES/Family computer era games. Gone are the days where you wonder how Mega Man would do against goombas or if Link can hold his own against the hammer brothers. The game allows you to select a new character in between levels. Each character then brings his own feel to the game. So like Mega Man won’t be able to jump on enemies but will have his mega buster to shoot at enemies and the trusty Rush to help him get to higher platforms. Billy from Contra will also have his gun and then get the gun powerups instead of mushrooms/flowers. So head on over to their site to play this. Ready to party like it’s the 80s?